Jane Polett received a Bachelor of Music in Violin Performance and Bachelor and Masters Degrees in Electrical Engineering from Arizona State University. From 1983 to 1988, she was the concertmaster of the Arizona State Symphony Orchestra. For almost 10 years, Mrs. Polett was a Process Engineer, and later an Engineering Manager for MEMC Electronic Materials in South Carolina. She was the leader of a multi-national engineering team, and holds a patent for a machine used for manufacturing silicon. Active as a violinist, Jane was a member of the Greenville (SC) Symphony, Asheville (NC) Symphony, and Brevard Chamber Orchestra until the Polett family relocated to Canton, MO in 1997. Jane has served as a violinist for the Muddy River Opera Orchestra and the Quincy Symphony Orchestra since that time. In 1999 she won contracts with the Illinois Symphony Orchestra and the Illinois Chamber Orchestra, and continues to perform regularly with those ensembles. Jane is the adjunct violin instructor at Culver-Stockton College in Canton, MO. 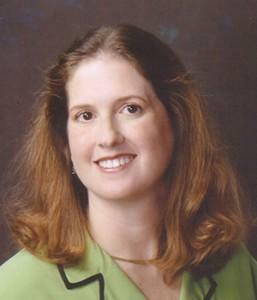 The Quincy Symphony Orchestra Association selected Mrs. Polett to be General Manager of the QSOA in July of 2005. In 2008 Jane was named General Manager of the Year by the Illinois Council of Orchestras, reflecting her outstanding administrative performance and the growth of the Quincy Symphony Orchestra Association under her leadership. Mrs. Polett’s husband is Tom Polett, Professor of Music at Culver-Stockton College and QSO Principal Trombonist. The Poletts have three children ~ Laura, Sarah, and Matthew.